Electronic Arts, a game developer known for its sports titles, has spent a lot of loot trying to spread their golden touch to other genres over the past few years. 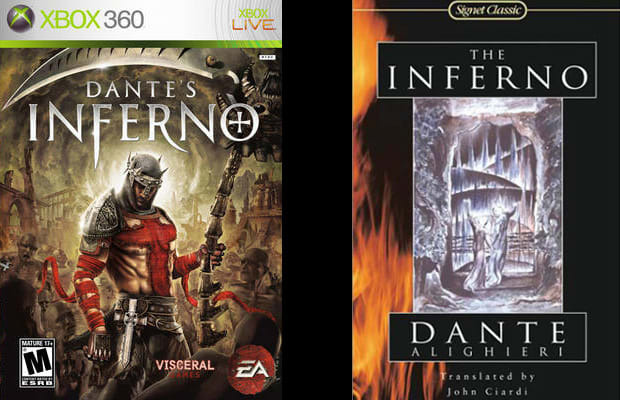 They hit the jackpot with franchises like Dead Space and, to an extent, this unique take on Dante Alighieri's epic poem Divine Comedy, Dante’s Inferno. The player controls Dante, a general during the Third Crusade, who goes through a self-reformation of sorts by stabbing hordes of hellish minions in a third-person romp through the nine circles of Hell. EA gave the marketing department a blank check with this one, signing off on everything from Super Bowl commercials to blatantly bribing journalists with $200 checks (masked as exemplifying "Greed," one of the levels in the game). That’s how good this game is: We didn’t get one and it’s still on the list.